Qoppa Software has added annotating and form filling capabilities in the latest version of its reliable PDF reader application for Windows, macOS and Linux, PDF Studio Viewer 2018. There are now a multitude of comments available to review and markup PDF documents with text and graphics. These include sticky note, typewriter, text box, callout, shape and text markup annotations. Qoppa’s PDF Reader can open secure or signed PDF documents, validate digital signatures, manage digital certificates, turn on and off layers, render all types of gradients and transparency, print and search with advanced options, and more. The application has a friendly and powerful user interface. The ribbon layout makes it easy to find all the tools at users’ disposal to view and inspect PDF documents, such as a loupe tool, pan and zoom, grid and rulers. The navigation toolbar and side panels (that display comments, thumbnails, layers, destinations, digital signatures, file attachments and bookmarks) allow to efficiently navigate through PDF documents and their interactive objects. This latest version 2018 really opens up new possibilities for end-users and professionals on all operating systems, but specifically on macOS and Linux, where many existing PDF applications derive from the same technology and have limited support for advanced PDF functions. The PDF format is a very extensive file format, with specifications spanning over 1000 pages. Over the last 15 years, while providing products and services to companies and end-users all over the World, Qoppa Software has developed a robust PDF engine that supports a very wide range of functions and is one of the most advanced on the market. PDF Studio Viewer is free for personal and commercial use. It can be downloaded from Qoppa Software’s website, Amazon, and the Microsoft store. It will soon be available for download on the Apple store. Download PDF Studio Viewer. It comes packaged as a single file installer for all platforms and supports 5 languages: English, French, German, Italian and Spanish. It is compatible with the latest operating systems: Windows 10, macOS High Sierra and Ubuntu 18.04. 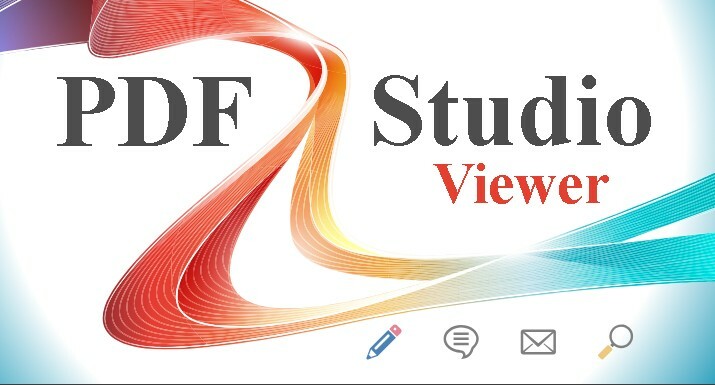 For users needing more than viewing, commenting and filling forms, PDF Studio is also available in Standard and Pro editions with advanced editing capabilities such as OCR, optimization, permanent redaction, inline content editing and interactive form designer. This entry was posted in PDF Studio and tagged 2018, form filling, PDF reader, Unicode on July 3, 2018 by qoppacom.